8 Memorable Quinceanera Waltz you’ll Want to Dance! 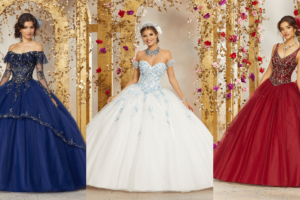 Need ideas for your Quinceanera waltz? Follow the Quinceanera tradition and check out the next videos and grab a few steps to learn and/or your favorite song to dance. If what you’re looking for is mostly Spanish Quinceanera songs, check out this article. The best kind of dances are shared with the people you most love! This Quinceañera had the honor of dancing her waltz with her twin brother. Not only did she dance this waltz with her brother, but her other half. Sometimes a court of honor isn’t necessary when you have your dad by your side every step of they way! Want a one-of-a-kind dance? Make it dramatic! You know the song and choreography is good when the crowd is also part of the dance! Match your dance to your Quince theme! This Quinceanera has her damas wear a Jazz-like outfit to combine her Jazz song by Michael Bublé. Who said a cort is necessary for your waltz? You can also go solo with your main chambelan and dominate the whole dance floor! Teamwork makes the dream work and this video proves it! A traditional waltz with a touch of Mariachi!